The new Samsung Galaxy Note 10.1 was officially announced a few weeks ago but specific release dates for different regions were not given at the time. If you’ve been waiting for further news on this then you’re in luck as Samsung has just confirmed pre-orders, a release date, and price for the new Galaxy Note 10.1 in the US. 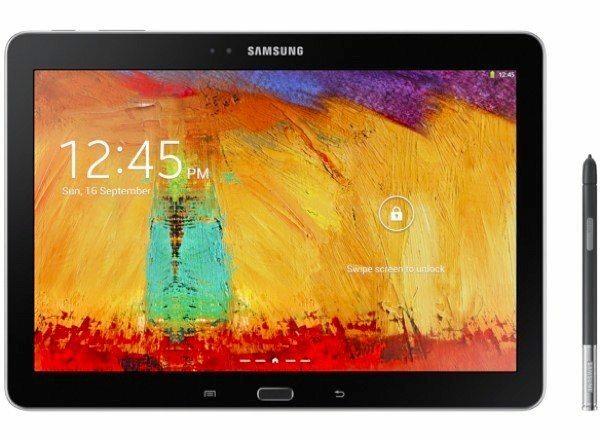 The official title for the new version of the tablet is the Samsung Galaxy Note 10.1 2014 Edition, but this has confused some people as the release comes this year. In fact the tablet will become available in the US on October 10. The price of the Samsung Galaxy Note 10.1 2014 has also been confirmed as $549.99 for the 16GB version or $599.99 for the 32GB model, which sounds pretty reasonable to us. Pre-orders will be open at midnight ET tomorrow (Sept 27) at Samsung.com and other select retailers. Retailers that will be offering the tablet are Walmart, Best Buy, Amazon, Tiger Direct, Fry’s, and PC Richards. Specs for the new Galaxy Note 10.1 include an Exynos Octa-core processor, 10.1-inch display with resolution of 2560 x 1600, 3GB of RAM, and expandable storage via microSD. Other inclusions are an 8-megapixel rear camera, 2-megapixel front-facing shooter, and an 8220 mAh battery, and there’s also the use of the S Pen stylus. The new tablet comes in Jet Black or Classic White color options. Does the new Galaxy Note 10.1 sound like your ideal tablet? Will you be pre-ordering the Samsung Galaxy Note 2014? Let us have your comments on this device.